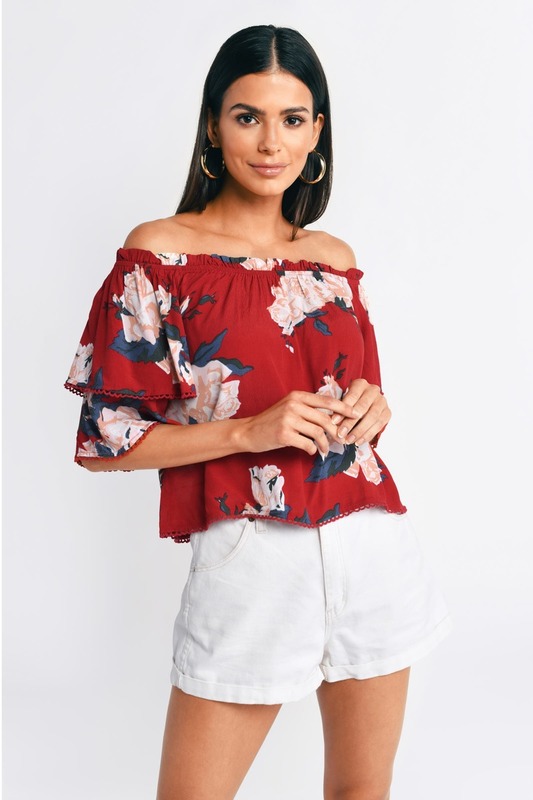 Check out Tobi's Rose Up Off Shoulder Top Add the Rose Up Off Shoulder Top to your wardrobe. Featuring an off shoulder neckline with two tiered sleeves and a picot trim. 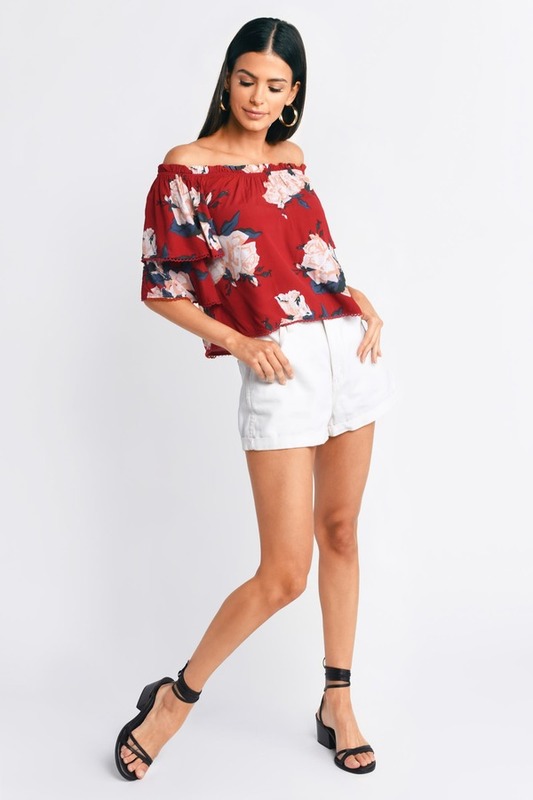 Pair this top with denim. 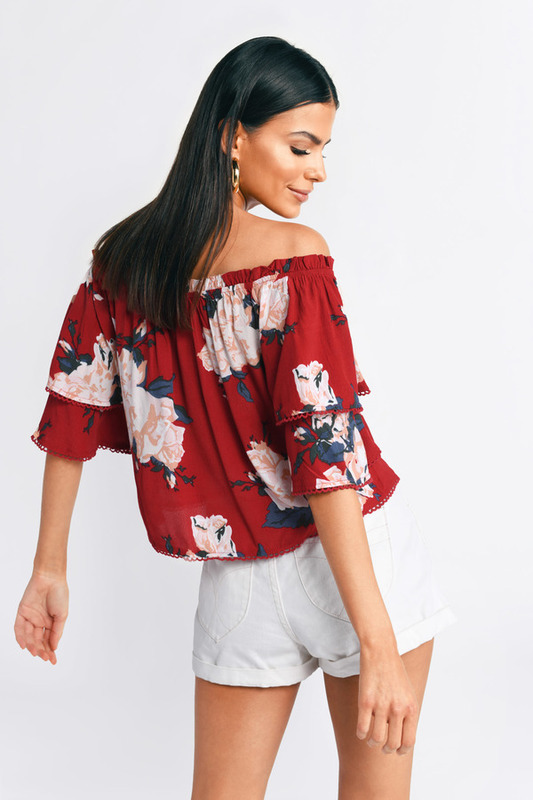 Add the Rose Up Off Shoulder Top to your wardrobe. Featuring an off shoulder neckline with two tiered sleeves and a picot trim. Pair this top with denim.